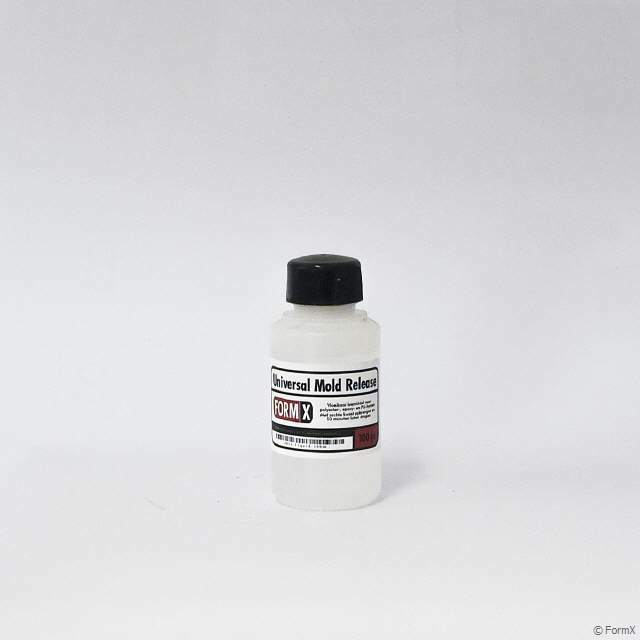 Universal® Mold Release Agent is formulated especially for mold making and casting, and works well with most liquid rubber and liquid plastic products. It will release mold rubbers (such as polyurethanes and polysulfides) from properly prepared models. Sealing porous models (wood, plaster, concrete) or certain modeling clays (containing water or sulfur) with Smooth-On SuperSeal® or other sealer may be necessary. Universal® Mold Release is effective over a broad temperature range from 70°F to 500°F. The transport of items out of this group can be restricted due to EU restrictions and regulations and will require a specialized carrier. Transport costs will not be automatically calculated. We will give you transport options and a quote later. Preparing this order for transport will not fit within our normal time frame and delivery may take a few days longer. If using silicone rubber, seal model surface with SuperSeal® only. Do not use Universal® Mold Release. Universal® Mold Release also easily releases a variety of casting materials (epoxies, Smooth-On liquid plastics, etc.) from cured rubber molds. This product has a limited shelf life and should be used as soon as possible. Properly used, Universal® Mold Release improves molding efficiency for a variety of casting applications and will actually lengthen the life of your production mold. Hold can 12 in./30cm. from surface to be sprayed. Apply a continuous light mist coating to model or mold surface and surrounding forms. Using a soft brush, brush the release agent over entire surface of model or mold in order to break the surface tension and minimize air entrapment. Apply another light mist coating of release agent and let stand for 5 minutes. You are now ready to apply mold rubber or cast into a cured rubber mold. This product has a limited shelf life and should be used as soon as possible. Can be put into non-aerosol plant sprayer, deck sprayer, or applied with soft brush. Apply thorough thin coating over entire surface of model or mold. 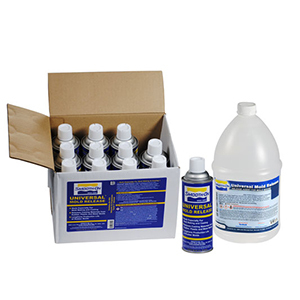 Allow surface solvents to evaporate for 5 minutes. Compressed air or hair dryer may be used to blow off any excess that has pooled. Repeat application and allow to dry. One method for applying paint to a casting is to remove release agent from casting with a solvent such as isopropyl alcohol or acetone. Next, apply one to two coats of auto body primer (available at most auto parts stores) and let dry. Finally, apply acrylic or similar base paint.